Today, 63 years ago, the liquidation of the Gypsy Family camp in Birkenau commenced. The “Gypsy” camp was liquidated on the night of August 2/3, 1944 on orders from Reichsführer SS Heinrich Himmler. All the people still alive, 2,897 of them, were murdered that night. The figure of 2897 murdered Gypsies, is, however, absolutely wrong and unfounded. This is one of the cases when an examination of Holocaust deniers' claims leads not only to refutation of those claims (this is usual), but also a refutation of mainstream claims, as new facts are uncovered (this also happens sometimes). What's ironic this time is that the mainstream claim (in this case - about the liquidation of the Gypsy camp) probably diminished the scope of tragedy, and, what's worse, this mistake has been mindlessy perpetuated in books and media. The extermination of the Roma in Birkenau took place on the night of August 2/3, 1944. A ban on going outside the barracks was imposed on the Gypsy camp on the evening of September 2 and, despite resistance, 2,897 men, women, and children were loaded on trucks, taken to gas chamber no. V, and exterminated. Their bodies were burned in the adjacent pits. In his article "The "Gassing" of Gypsies in Auschwitz on August 2, 1944" Carlo Mattogno claims that no Gypsies were gassed on August 2, 1944. He makes some ignorant claims to arrive at this conclusion, although he does make one good point in the process. Let's examine his claims and compare them to the claims by Danuta Czech and the Auschwitz Museum. 1. There were 1518 inmates listed in male labor deployment report for July 30, 1944 in the Gypsy camp. 2. This number increased to 2815 on August 1, 1944 and to 2885 on August 2, 1944. July 31 report is missing. 3. On August 3 there are 1408 Gypsies explicitly mentioned for BIIe camp, noted as being transferred elsewhere. 4. The difference, therefore is 1477 inmates of the Gypsy camp, who seem to have disappeared. 5. To explain the bulk of this disappearance Mattogno brings up the transport of 1298 Radom Jews (males), who arrived on July 31, 1944 and were registered on the same day. These Jews, however, don't appear in male labor deployment lists of August 1 and 2 (labor deployment lists noted the new arrivals). 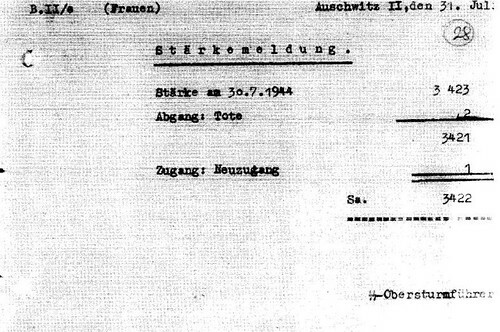 As could be established from quarantine camp documents, these Jews weren't in that camp either. 6. Mattogno, therefore, makes a logical conclusion: the increase of the male Gypsy camp population from 1518 on July 30 to 2815 on August 1, 1944 (the difference being 1297) is due to these Radom Jews being temporarily placed in the Gypsy camp. This is not unheard of, as the Gypsy camp was also used to lodge some Jews during the Hungarian action. The difference in 1 person might have been covered by the missing July 31 report. So far, the argument seems reasonable, and it's a pity the mainstream researchers didn't put it up first, and rather assumed that all 2815 inmates on Aug. 1 were Gypsies, because this, obviously, does some serious violence to their Gypsy death toll estimates. 7. Now, Danuta Czech assumes that all 2885 inmates of the Gypsy camp on August 2 were Gypsies (she calculates 2898 for Birkenau as a whole). She notes the transfer of 1408 Gypsies to other place (she says Buchenwald) and claims that 2897 Gypsies were gassed afterwards. Actually it is Mattogno's glaring mistake. Am Nachmittag wurde auf der Eisenbahnrampe innerhalb des Lagers Birkenau ein leerer Gueterzug bereitgestellt, in den 1.408 Zigeunerinnen und Zigeuner verladen wurden, die am 23. Mai 1944 im Lagerabschnitt BIIe selektiert worden waren, damals in die Bloecke 10 und 11 im Stammlager verlegt worden waren, am Leben gelassen und in andere Konzentrationslager ueberstellt werden sollten und jetzt vom Stammlager nach Birkenau gefuehrt wurden. Indeed, in May 23, 1944 entry Czech claims, based on a testimony of T. Joachimowski, that there were about 1500 Gypsies lodged in blocks 10 and 11 of the main camp, waiting to be transferred elsewhere. So Mattogno's argument about Czech's "mistake" is bogus (regardless of veracity of Czech's method). 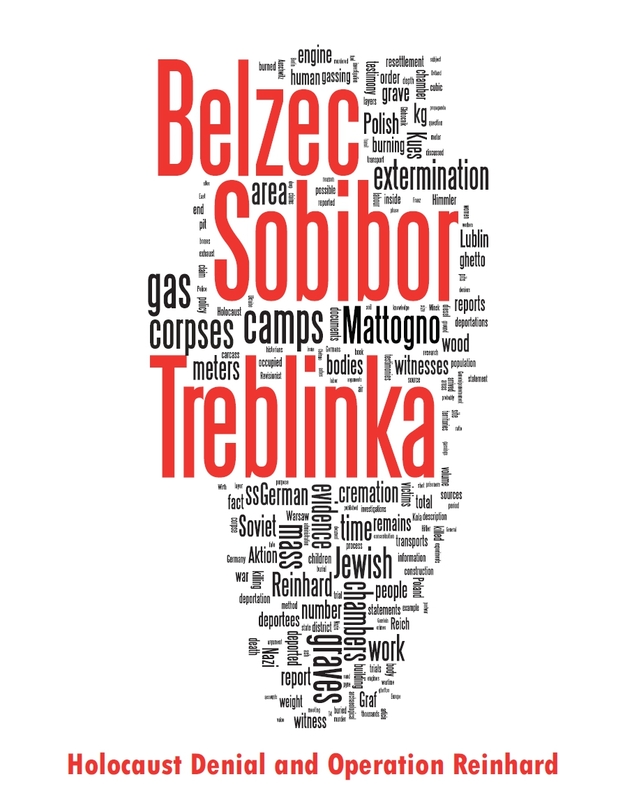 Czech gives the death toll of 2897 (and not 2898) because one Gypsy stayed in camp BIIf. 9. And yet, we still have to subtract 1298 Radom Jews from Czech's death toll, leaving us only with only 1599 Gypsies which, according to Czech's methodology, could have been gassed. 10. However, here is where both Mattogno and Czech make a fatal mistake. All this time they were dealing with male labor deployment lists. How on the basis of the male population of the Gypsy Family camp Czech could make a conclusion that "2897 defenceless women, men and children" were gassed, and how, on the basis of male population could Mattogno make his conclusion about the lack of gassings of any Gypsies? 11. What they both amazingly ignored are the existing strength reports for female population of camp BIIe, i.e. the Gypsy camp. I've had them for some time from Dr. John Zimmerman, but only recently Dr. Nicholas Terry realized, that this is it - the actual numbers for the female Gypsies, covering the period from 16 to 31 July, 1944. The reports were available to Czech, and basically to everybody, and yet nobody seems to have realized their significance until Nick, which is rather baffling. 13. Therefore, taking into account everything said before, and assuming D. Czech is correct about 1408 Gypsies being from Auschwitz I, there could have been as many as (1599+3422)=5021 Gypsies gassed. Well, actually this is problematic too, because this assumes that Czech is correct when she claims that 1408 Gypsies were male AND female Gypsies from Stammlager. Once again, the assumption that female deportees were mentioned in the male labor deployment lists is shaky at best. So we're left in uncertainty about the number of Gypsies who could have been gassed. Until proven otherwise, we should assume that 1408 transferred Gypsies were males, and there could have been females transferred as well (though we don't know the numbers). It is also not completely clear whether these 1408 Gypsies were indeed from Auschwitz I, or from Auschwitz II. If they were from Auschwitz II, then we should subtract them from the Birkenau Gypsy population, having as many as (5021-1408)=3613 Gypsies potentially gassed. It is possible that it was a mix of both Auschwitz I and Auschwitz II male Gypsies, but it is also possible that no Gypsies were brought from the main camp at all, and this is only D. Czech's assumption (testimonies from the Frankfurt trial don't seem to support this version, and some contradict it, saying that the Gypsies were in the main camp just for quarantine for several days only). In any case, it seems clear that D. Czech's - and Auschwitz Museum's - number of 2897 gassed Gypsies is absolutely unfounded, and potentially, many more hundreds of Gypsies could have been gassed, mostly women and children. To establish the true number and to remove uncertainties, further research is required. On transport of gypsis to the main camp prior the liquidation, interrogation of Elisabeth Guttenberger of 2.2.1965 (Digitale Bibliothek 101: Der Auschwitzprozess): "Ich blieb dann im Lager bis Mitte Juli 1944, kam anschließend etwa für 14 Tage in Quarantäne ins Hauptlager Auschwitz und dann ab 1.8.1944 nach Ravensbrück auf Transport." "A kórház akkor zsidó és cigány osztályból áll ott, egészen augusztus 02-éig, amikor este több teherautó jelent meg a kórház előtt és az összes cigány pácienseket öregeket és tuberkolotikusokat öröklött vérbajos és kiéhezett gyerekeket elvittek. Ugyanekkor elszállították a tábor összes többi cigánylakóit is és mint utóbb megbízható forrásból értesültem valamennyiüket szám szerint 3540-et elgázosították." "The hospital then there is Jewish and Gypsy class, all the way until August 02, when the evening more truck appeared in front of the hospital and all the patients were elderly and Roma tuberkolotikusokat congenital syphilis and starving children were taken. 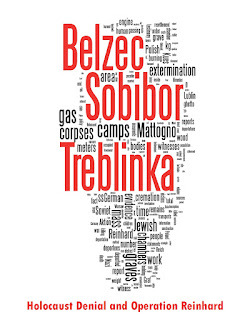 At the same time all the other cigánylakóit transported to the camp and learned about all of them no later than 3540, according to reliable sources, they were gassed."